It’s simple. You need a cleaning service that works for your needs, your schedule, and your space – no matter how unconventional. Your cleaners would be reliable and consistent and produce a healthy environment, happy employees, and impressed clients. Welcome to Smart Touch Cleaning Services, where we discover your detailed needs, design a cleaning service that meets them, and work tirelessly to perfect it – Including surprise spot checks. Smart Touch Cleaning Services offers a wide range of Warehouses, Schools, Hospitals, Shops, Showrooms & Industrial Cleaning, this can be from a small office up to large factory units. Our all staff are fully trained for the job that they undertake whether it is buffing floors, using scrubber driers or general cleaning in the office. A full Specification and schedule of works are designed and agreed to meet your needs, they will include all areas in your office. 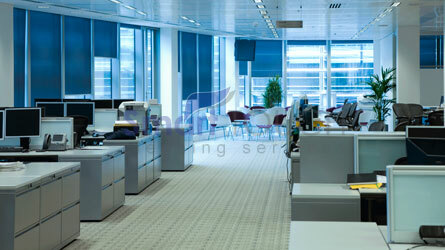 Any size office from a single room to multiple floors, they will all receive the same high stranded of care and cleaning. We work hard to make place spotless and to keep it looking spotless. With continuous checking, audits and adjustment of specifications (if required) we guarantee that you will be nothing but delighted with the service that you receive from Smart Touch Cleaning Services. Our Commercial cleaning service is both staunchly green and systematically exceptional.